The Mullet: "Hey Steve, seeing as how bad this season has been, it seems only fitting if you do the summary to end the year"
The Mullet: "I'll snag you a Paddy's Pub keychain from the Philly airport next time I'm in Ottawa"
Steve: "You're a good man Doty. I'll do it." 16:42 - Robin Lehner makes a save off of a deflected puck. Chris Cuthbert refers to him as "The Lehner". We liked "The Lehner" before it was mainstream. 10:36 - Chris Neil drops the gloves with Tanner Glass. Not the first Senator to punch glass. Seconds later - NHL GameCenter notifies me that the schedules for the playoffs have been released. 0:10 - Erik Karlsson gets hit in the mouth with a Beau Bennett stick...Karlsson still looks très Beau! Colin Greening gets a penalty. Intermission Report - Apparently chewing tobacco flew out of Karlsson's mouth after getting hit with the stick. Another reason why @wheelingprobs loves him. Editor's Note: Bonk's Mullet decided to spare Steve from the pain of summarizing this game and to turn to Twitter for material for the rest of the summary. @ian_mendes @BonksMullet 1 out of 1 twitter doctors recommend Zatkoff. Side effects include smiling Bylsma, and not having to dress Fleury. What a great one-two punch! Well Steph, the bedazzling job was shoddy as Robin Lehner's eyebrows fell off after one wear! Neilsi% is actually calculated as (Leadership + Offsides + Failed wraparounds) / Scoring chances. Neil's Neilsi% is... DIV0 ERROR. @BonksMullet If you're not paying @chet_sellers, then how is he in a new tropical destination every second weekend? Excellent question Zach! Chet is actually wanted in seven countries for his involvement in an off-shore banking scandal. Lucky for him, all seven countries believe he is a Nigerian prince. @BonksMullet you could provide ideas of what I should do for the next four months. New hobbies for sens fans? 1. Taking a good hard look in the mirror. 2. Reading BonksMullet.com. Seriously, we'll be here all summer! 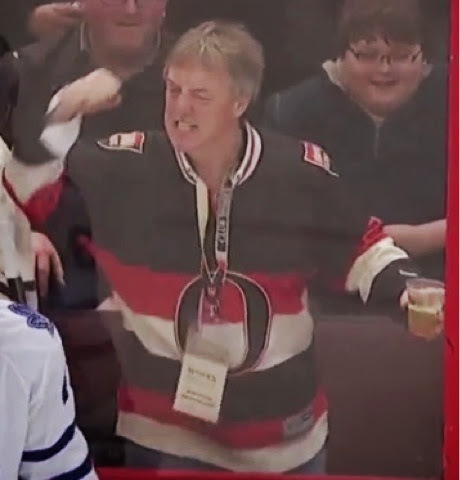 Sens fans also took to Twitter to thank everyone for following along all season. And some decided to recount their favourite 2013-2014 memories. Oh yeah, the game! In what seems like a microcosm of the whole season, this one is dragged out way longer than anyone would ever hope for. We're off to a shootout! Thanks a lot from everyone here at BonksMullet.com. I founded the site under a year ago and since then we've added 6 amazing writers/photoshoppers/glorified homeless people in Chet, Kevin, Luke, Gains, Brochenski, and Steve. We're super thankful for everyone who reads our stuff, and we look forward to bringing you trash material all summer. Please leave all of your praise and worship in the comment section. Thanks!